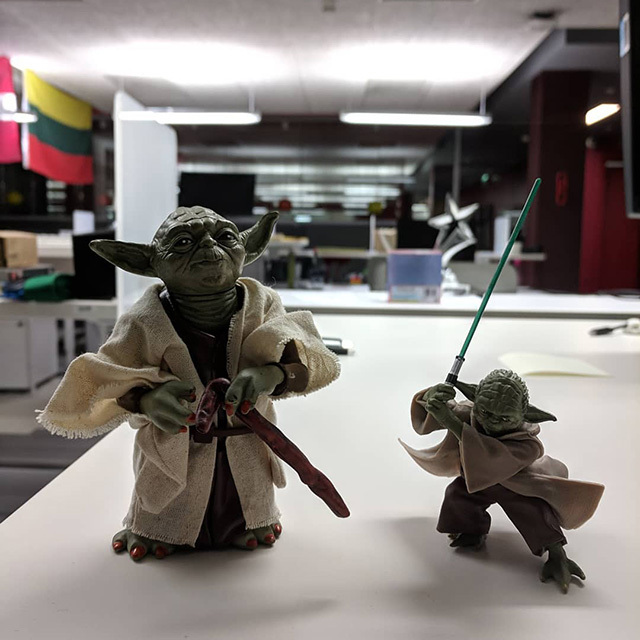 Here is a photo someone posted on Instagram of Yoda, the character, at Google's Dublin office. He wrote "May the Force be with you." I guess the guy likes Star Wars enough to have these toys with him at the office.